Boatshed London are delighted to offer this fantastic Piper Boats 60ft Wide Beam for sale. Built in 2010 and fitted out especially for continuous cruising, this is an ideal boat for life afloat. It has the unique benefit of two cabins and two toilets making it very suitable for a family or for someone with regular guest visits. Piper Boats are known for great build quality and this one is no different. High quality materials have been used throughout and everything feels very solid internally. 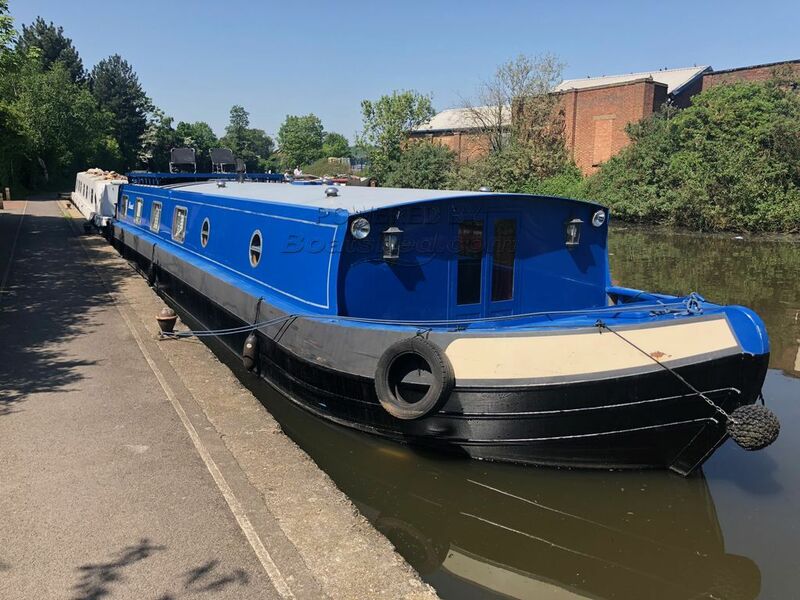 The boat has loads of solar panels, a 5KW generator, large 1,000l water tank and diesel stove that powers the central heating meaning you can be self-sufficient for weeks on end. Both heads are electric flushing loos with a 730l holding tank. Both cabins have double beds with a king size bed in the master cabin at the bow. The whole boat has loads of storage with hanging space in both cabins and under bed storage too. As a cruiser, it has a bowthruster for easy maneuvering and the engine has been well maintained throughout its lifetime. The roof has had a decking area added which is a great place to catch some rays in the summer and a gas BBQ in the cockpit. Blacked in May 2018 and a new Boat Safety Certificate until Dec 2022. This Wide Beam 60ft X 12.5ft has been personally photographed and viewed by Angus Rose of Boatshed London. Click here for contact details.